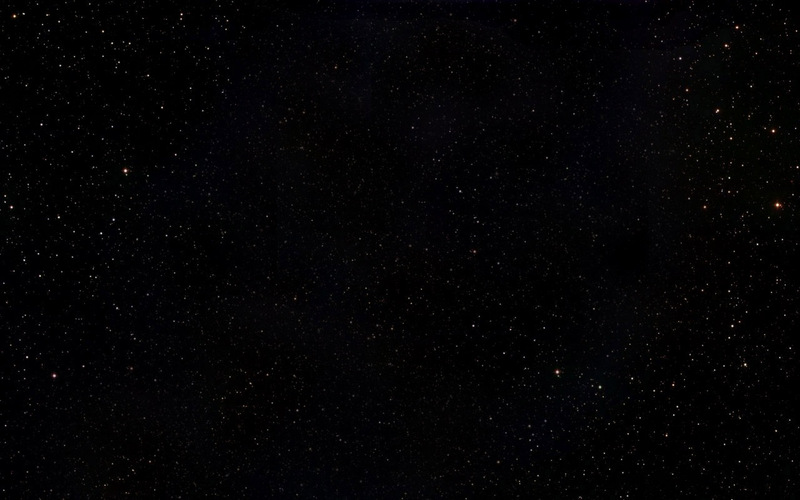 History: Red Alert was responsible for keeping track of the black hole and trying to destroy or contain it. 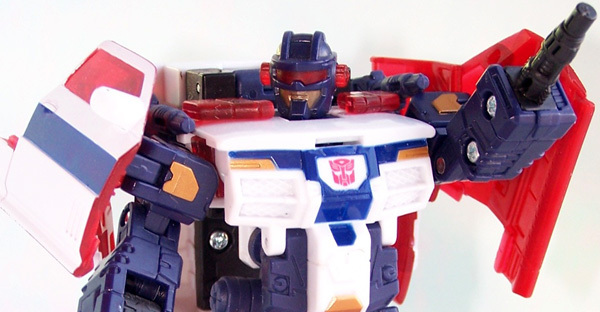 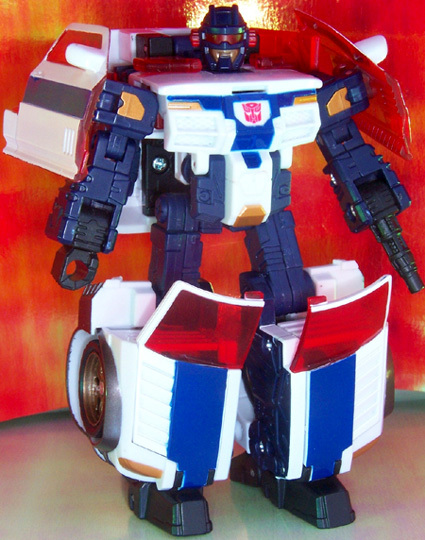 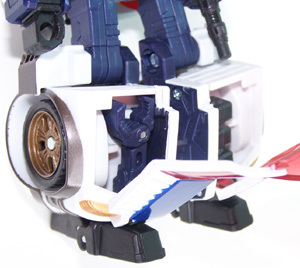 After the gravitron grid collapsed, he joined the Autobots on Earth. 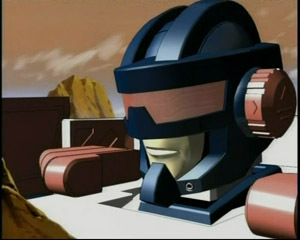 He was sent along with Hot Shot to Velocitron, the speed planet, to investigate the whereabouts of the Cyber Planet Key for that planet. 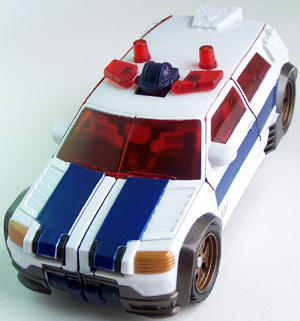 Hot Shot was going against orders by getting involved so Red Alert tried to reason with him. 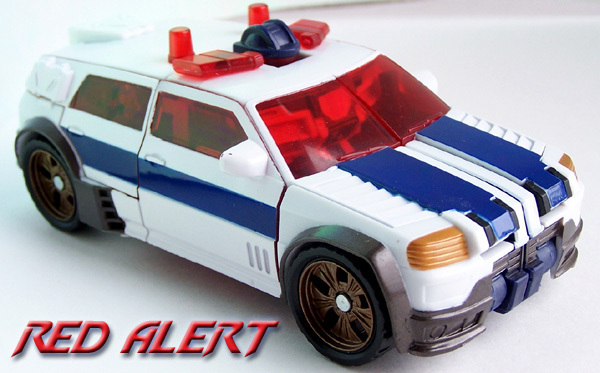 Hot Shot got involved again and Red Alert became upset with him. 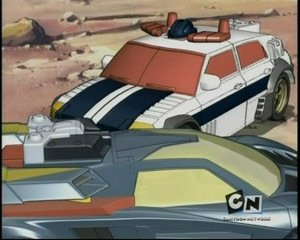 Red Alert went to the junkyard looking for something, when he was attacked by Ransack and Crumplezone under the supervision of Starscream. 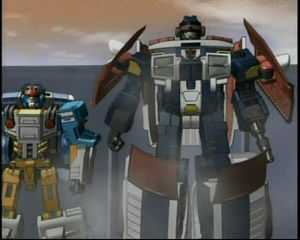 Red Alert turned away the attack by the two Velocitron thugs, but was nearly destroyed by Starscream. 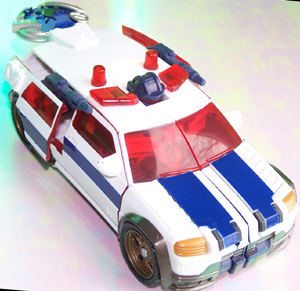 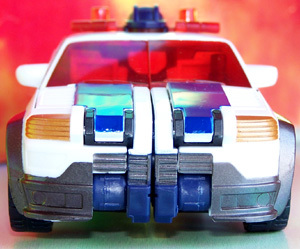 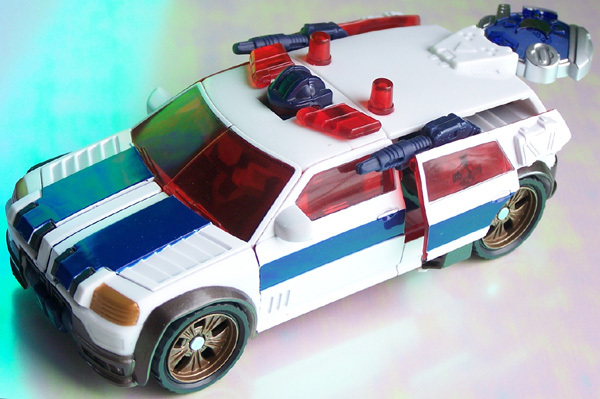 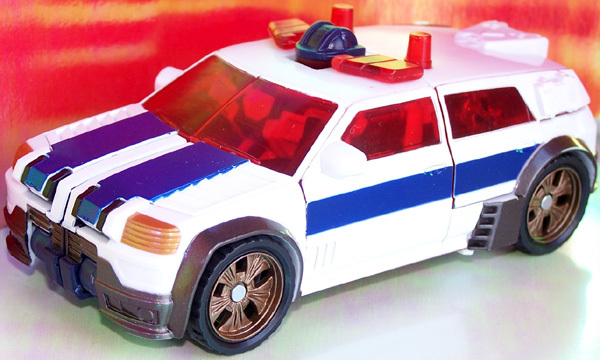 Fearing for the spark of Hot Shot, he sent an emergency transmission to the Autobots, which they responded to by going to Velocitron. 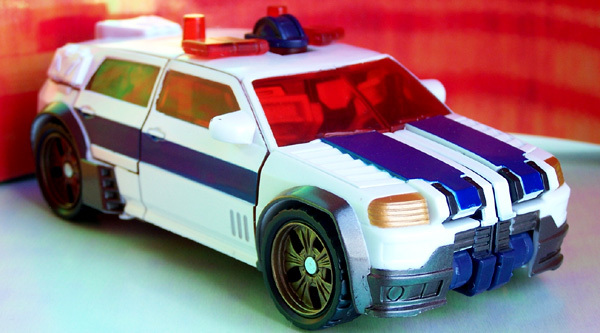 When they arrived, Red Alert told them everything that had happened. 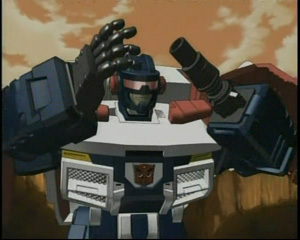 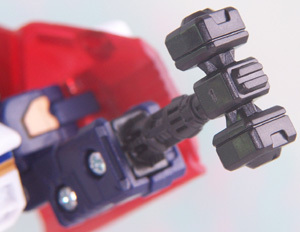 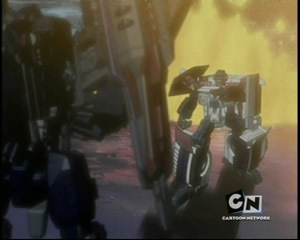 Red Alert was destroyed when Megatron received a new Cyber Key Power and blasted him, Hot Shot and Scattorshot. 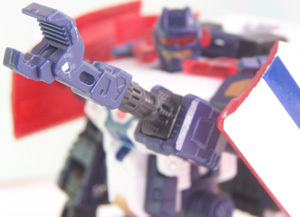 Self-sacrifice is a way of life for RED ALERT, but non-stop fighting with the DECEPTICONS has caused him to doubt his skills as a healer. 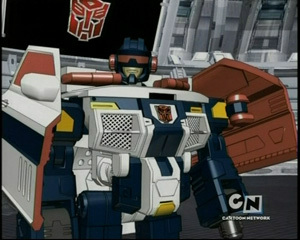 His vast sensor array and integrated tools and his instincts as a scientist give him an almost limitless capacity for absorbing data. 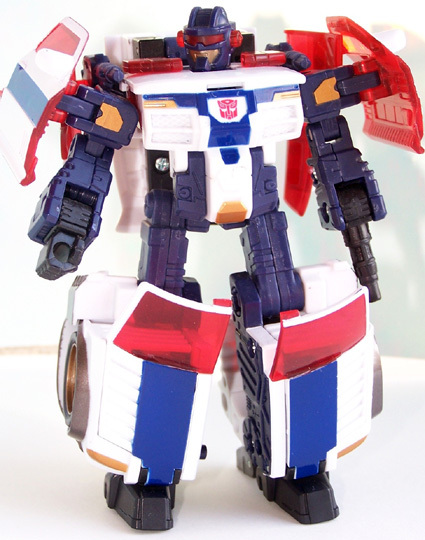 He considers every possible course of action before committing to a plan, which brings him into conflict with the hot-headed HOT SHOT when the pair arrives on the Speed Planet. 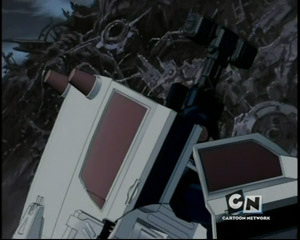 *Cybertron episode #3: Hidden - Mission to contain black hole fails. 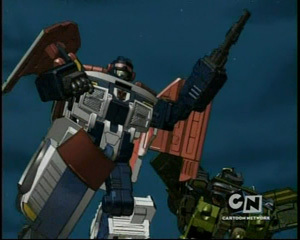 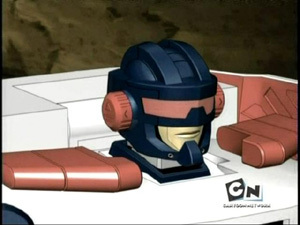 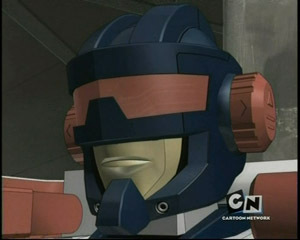 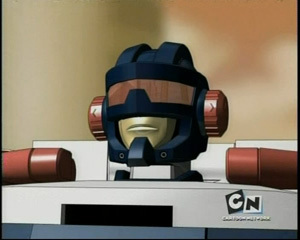 *Cybertron episode #4: Landmine - Sent to Velocitron. 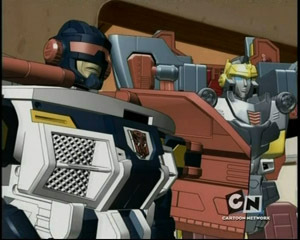 *Cybertron episode #6: Rush - Two arguments with Hot Shot. 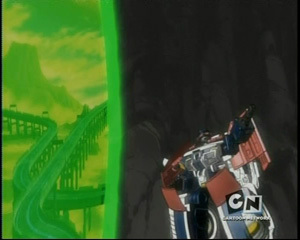 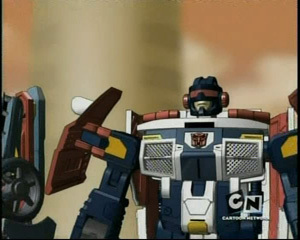 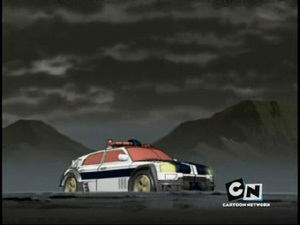 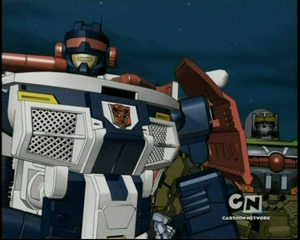 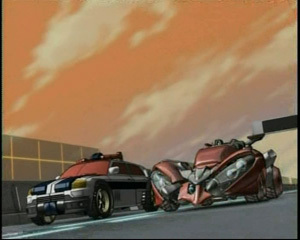 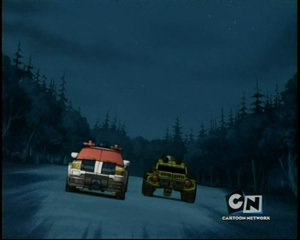 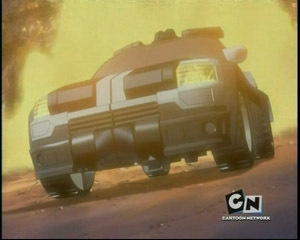 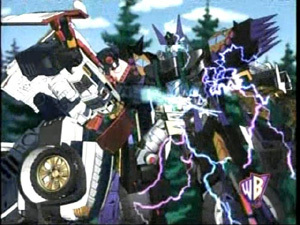 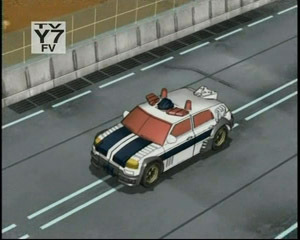 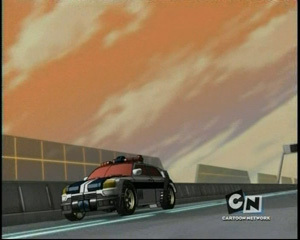 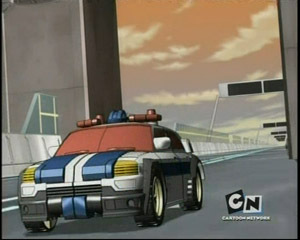 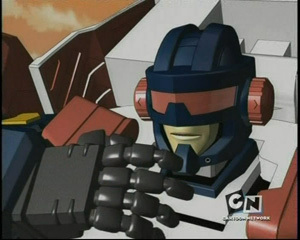 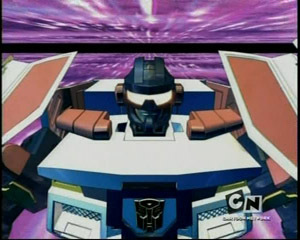 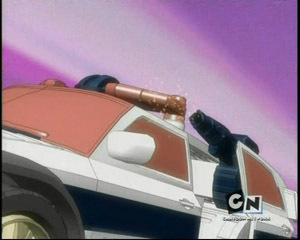 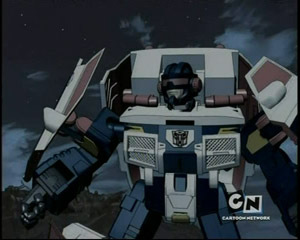 *Cybertron episode #7: Speed - Attacked at the junkyard. 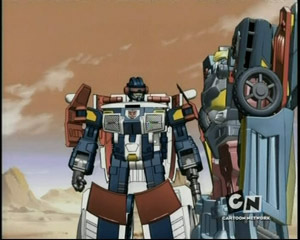 *Cybertron episode #26: Revelation - Destroyed.